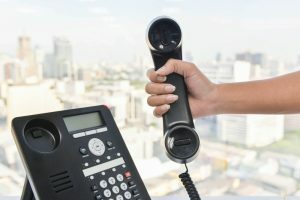 If you are thinking about a new business phone installation, there are a number of factors that you need to think about. As a business owner, you want the best for your company and all of your employees. Our staff at Empire Technologies can be there to go over all of your options for business phone installation in San Dimas so that you have the exact results you are hoping for. All you have to do is give us a call so that we can get started with an initial consultation. Do you know how many lines that you need? Have you given any consideration to the type of system that you are hoping to settle on? There are a number of traditional and modern options that you can use when installing a new business phone system. Depending on your wants and needs, you may even have the ability to pick out a system that includes traditional landlines along with VoIP services. No matter what your idea is when it comes to a perfect system, our professional staff at Empire Technologies has the experience to get the job done for in an efficient manner. A technician from Empire Technologies will be able to schedule a consultation appointment at your earliest convenience. Regardless of the type of installation you choose, we will do all that we can to ensure that your regular work activities will not be disrupted for long, if at all. We understand how important it is for you to have phone systems that are up and working so that you can communicate with outside sources as well as on an inter-office basis. When you are in need of business phone installation in San Dimas, you can count on Empire Technologies. Call us today at (714)422-0431 for a consultation. We look forward to working with you so that we can get you the phone installation that you desire.